CRM or Customer relationship management holds an important position when it comes to organization’s interaction with its current and potential customer especially in present scenario which full of competition. Salesforceis automated cloud-based software as a service platform which integrates sales, service and marketing aspects of an organization. Salesforce is assisting the CRM team to record the multidiscipline data, its storage, tracking and monitoring and data analysis Salesforce is undoubtedly one of the most powerful resources available to CRM teams. Speaking statistically, As of May 2016, Salesforce has had over 150,000 customers across the world. In the world of CRM, Salesforce dominates with a 19.7% market share. Salesforce classic is just a name given to distinguish between the new user interface and old user interface. It is basically the standard platform which we used it for a very long time. With the passage of time the learning curves advanced and we could easily identify the gaps between the requirement of the clients and the service that they are providing. In this particularly sensitive time-technology era, it is very necessary to keep up the pace with innovation, developments, and requirements of customers. The pace at which this transition takes place depends on system administrator, the complexity of the organization and ideology of the organization. Companies with weak system administrator hesitate to introduce change Enterprise. 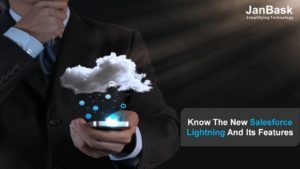 The client-server framework speeds the development and app performance while on the other hand, it is ideal for use with the Salesforce mobile app and Salesforce Lightning Experience. Enables you to build apps visually, without code using off-the-shelf and custom-built Lightning components. Lightning connects features and enables you to connect Salesforce to any external application by using external object and relationship. 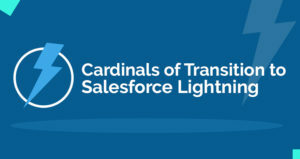 Why Switch On The Salesforce Lightning? 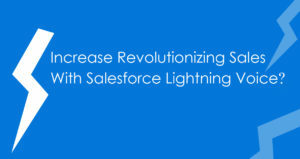 Salesforce Lightning has included several new features designed for optimization of sales along with enhanced UI to provide an efficient and problem-solving environment. 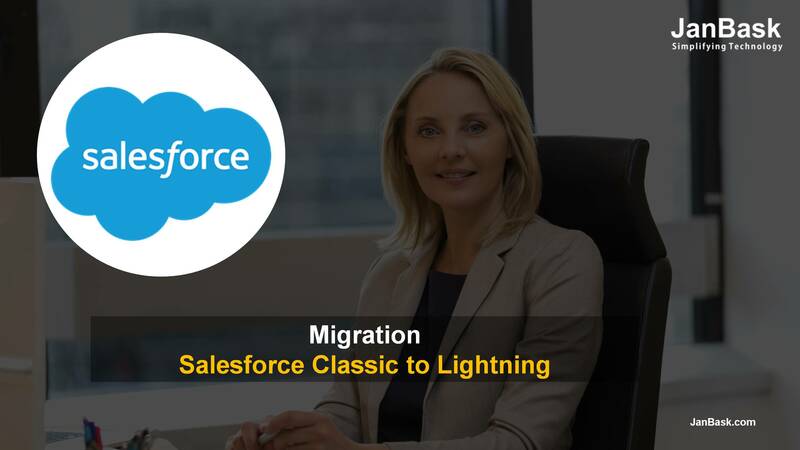 Migration from Salesforce classic to Salesforce Lightning is very easy while inheriting all permissions and sharing settings that were already defined in Salesforce Classic. Creation of list views by using Lightning Experience’s intuitive filter panel. Quick visualization of data with list view charts and inclusion of filters to grab the detailing. With Kanban view, you can manage and organize a set of records to track your work at a glance. It also enables you to generate alerts to notify you incase of action required. Here you can see that in the Classic version of Salesforce features such as Performance Chart, Assistant, News, Top deals is not available. Whereas on the other hand in Salesforce Lightning version you do not get the option of Feed and publisher. Change is something that does not happen overnight. You need a proper base and a proper time before you drop the ball of migration. Here is a list of questions that you should surely settle before you decide to migrate from Salesforce Classic to Salesforce Lightning. What quantity of the anticipated benefits of your lightning transition is directlyassociated with your workers embracing, implementing, and using this platform? Who are the affected workers? You will have to narrow down the most affected workers and see if they are ready for this change. You will have to see if they possess the necessary knowledge and skills to adopt this change. Do you have all the necessary knowledge required for the new set up and its working? 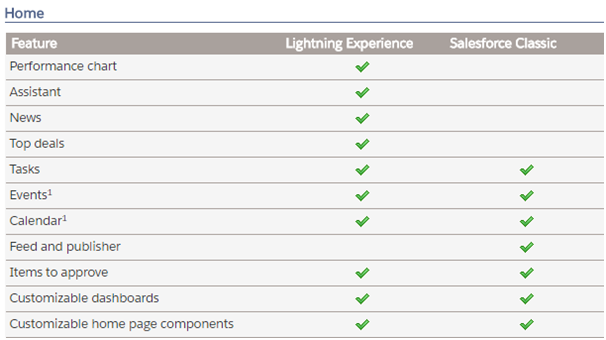 What is the timeframe for each department to be upgraded to Lightning? Make a timeline within which the departments of your enterprise would migrate to Lightning. Also, decide if you want all the departments to be upgraded at once. This will totally depend on the skills of your workers associated with each team. You will have to see when they are ready for the change. Do you have the means to provide the necessary training and equipment? Make sure that you first have the resources for a training professional. You will need a lot of re-engineering for your systems. You may have to engage a training agency or agents. See if you have the budget for that. Upgrade without the necessary training would be a disaster. How will you cope up with the segments that are resistant to change? Please make sure that you have a plan in place for managing, communicating, and enforcing the compliance required to enforce the change. Salesforce is undisputed one of the most vital resources available to CRM teams. As change is the only constant and in order to survive in this technology-time sensitive era, it is, therefore, a necessity to upgrade Salesforce. Salesforce Classic is the name given to differentiate between an old and new version that is Salesforce Lightning. Migration to newer version doesn’t seem to be an abrupt one, but it is something that will happen with the passage of time. Switching to Salesforce Lightning depends on the complexity of organization and system administrator. 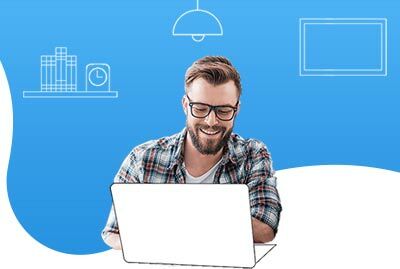 The existing users are encouraged to switch to Salesforce Lightning and enjoy the several benefits over Salesforce Classic. Make sure that your change is planned and well designed. Abrupt business decisions can backfire very severely leaving your entire set up in pieces. 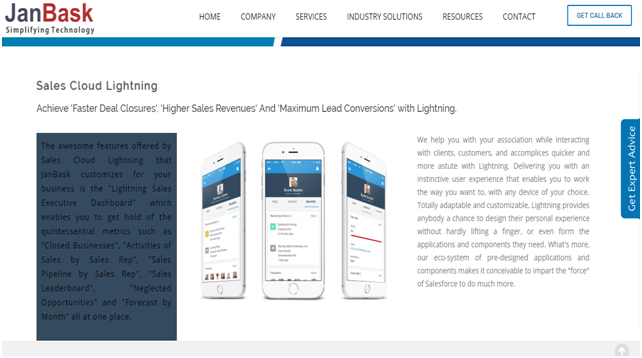 How to Increase Revolutionizing Sales with Salesforce Lightning Voice?